Since 2011, South Kordofan, a Sudanese region situated on the border between South Sudan and Sudan, has been a battlefield between the Sudanese government and the Sudan People’s Liberation Movement-North (SPLM-N). The latter is a political party and military organization, claiming to be “a Sudanese national movement that seeks to change the policies of the center in Khartoum and to build a new center for the benefit of all Sudanese people regardless of their religion, gender or ethnicity background.” In January 2015, the fighting intensified, after Sudan’s President, Omar al-Bashir, vowed to end all conflicts in the country and regain all rebel-controlled areas before the April 2015 Presidential elections which he won by 94 percent of the vote. His re-election is a cause for worry and grief for the people of South Kordofan as the Sudanese President seems determined to finish the ethnic cleansing, the roots of which can be traced to the 1960s. The SPLM-N rebels strived to prevent the residents of South Kordofan from voting in the recent elections. A week before the elections were held the SPLM-N rebels seized a vehicle loaded with ballot boxes heading into the state, and then on the second day of elections they shelled Kadugli, South Kordofan’s capital. The Sudanese government has recently affirmed its determination to clean out the rebellion before the rainy season starts in Sudan and sent Rapid Support Forces to South Kordofan to support the Sudanese army. 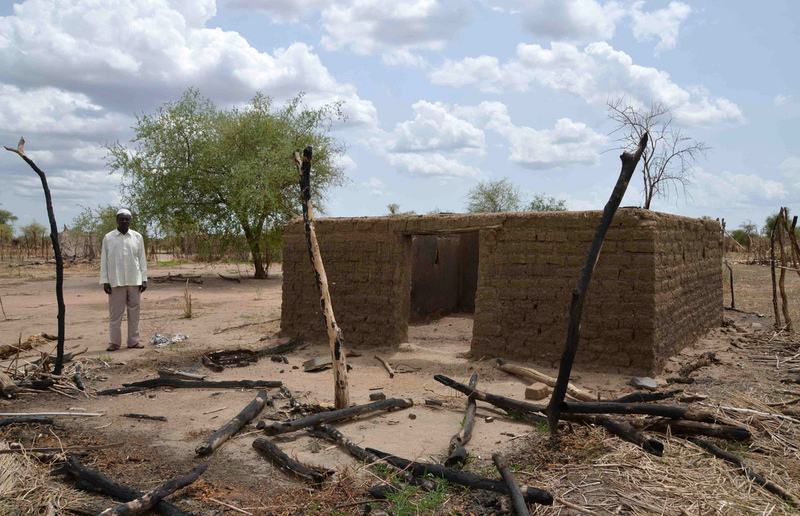 The current conflict in South Kordofan began soon after South Sudan obtained its independence in 2011. SPLM-N accused the Sudanese government of continuing to politically marginalize large parts of South Kordofan, which was the scene for some of the heaviest fighting during the north-south civil war. In November 2011, the group allied with other rebels groups including three in Darfur, forming the Sudan Revolutionary Front (SRF) to topple Bashir, who is wanted by the International Criminal Court for war crimes and genocide in Darfur. While there have since been negotiations between Khartoum and the SPLM-N, they have mostly stalled. The government is steadfastly refusing to create a more inclusive political system based on participation which the rebel group is demanding. South Kordofan is an extremely important region for Sudan as it is its only remaining oil-producing state since the country lost a staggering proportion of its oil resources to South Sudan during the secession. However, the people living in South Kordofan have experienced acute discrimination and marginalization for a long time. The Sudanese government started dispossessing them in the 1960s, which by the late 1980s had driven many to join the Sudan People’s Liberation Movement/Army (SPLM/A) in the hopes that its promised ‘New Sudan’ would end their suffering and ensure respect for their rights. The rise to power of Omar al-Bashir’s National Islamic Front (NIF) heightened the conflict in the area. In 1992, the government led a policy of Arabization, declaring jihad on the people of South Kordofan and the Nuba mountains. The onslaught on the area, known for its diverse ethnic background, targeted not only Christians and animist Nuba, but also Muslim SPLA sympathizers who were rejected as apostates. The government created ‘peace camps’ where people were offered food and shelter on condition they converted to Islam. Just as in the current conflict, the government used food as tactical weapon by starving people, as well as bombing and burning villages, while simultaneously preventing access to humanitarian assistance. Hundreds of thousands of people from the Nuba areas chose to die rather than convert. South Sudan’s independence in 2011 only heightened the problem by transforming the Nuba people, including those in South Kordofan, into the Sudanese government’s prime target. According to the International Crisis Group, the current conflict is at a “strategic stalemate” since the SPLM-N rebels and government forces are similar, meaning that the conflict is highly unlikely to end before the rainy season despite the government’s efforts. Over the years the rebels have gained territory and expanded their military capabilities. At the same time, the ethnic dynamics have changed as the two major Arab tribes in the Nuba Mountains, the Misseriya and the Hawazma, joined forces with the rebels after initially supporting the government. The Misseriya and Hawazman were upset both with the government’s decision in 2005 to abolish the West Kordofan state (which they considered their own), and with the continued lack of services and development. The rebels managed to attract many Misseriya by highlighting the tribe’s marginalization by the government. While the rebels and government may be fighting for power the South Kordofan residents are the ones suffering. Since 2011, many people fleeing for South Kordofan have sought refuge in South Sudan, which currently hosts around 260,000 Sudanese refugees, most of whom have fled from the border region. According to the UNHCR, since the fighting between the Sudanese government and SPLM-North regained momentum in December 2014, over 500 Sudanese refugees have fled South Kordofan each week, seeking shelter, education and a livelihood in refugee camps in South Sudan. Of the new arrivals 70 percent are children. The Sudanese government has prevented humanitarian aid agencies from delivering assistance to those living in SPLM-N-held areas, claiming that the rebels would seize the supply. The rebels have denied that accusation. Although the approaching rainy season may lead to a temporary cessation of hostilities in Sudan, peace is unlikely to hold as the government seeks to complete its ethnic cleansing program. There is a desperate need for international acknowledgement and coverage of the situation in South Kordofan, which is as alarming as the crisis in Darfur. The international community should strive to end these crimes by calling for Bashir to be delivered to the International Criminal Court for the war crimes in Darfur and for the ones conducted in South Kordofan. Imposing additional targeted sanctions on Sudan, while minimizing the impact on Sudan’s already impoverished population, could be another effective strategy for ending the current crisis. Raluca is a freelance journalist from Romania. Over the past three years, she has published over 400 articles for multiple publications, including AlJazeera, The Globalist, Yale Globe and Harvard International Review. Her areas of specialty are Romanian politics and environmental issues, as well as African politics, human rights and refugee issues. In 2012, she finished a masters at the University of Oxford in Refugees and Forced Migration, after doing her undergraduate studies at Vassar College in the US. She currently runs a blog about young changemakers and entrepreneurs, called Taking on the Giant, and Save South Kordofan, a nonprofit dedicated to assisting the people in Sudan's border region of South Kordofan.